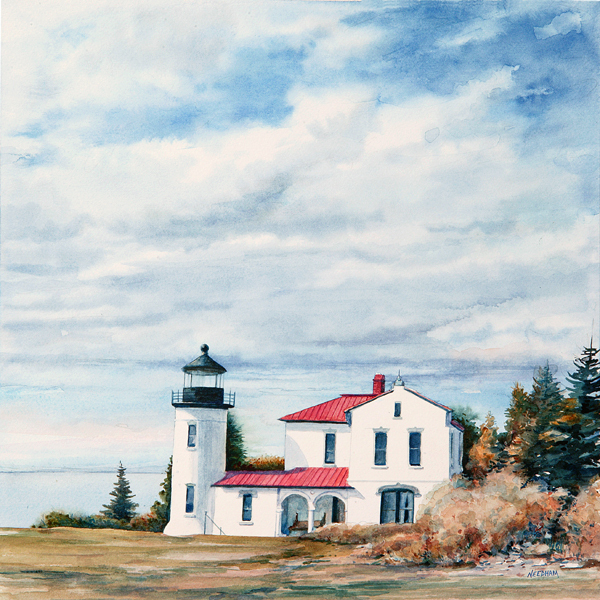 The first Admiralty Head Lighthouse was built in 1860 atop a knob called Red Bluff. Its light welcomed Puget Sound marine traffic into Admiralty Inlet. To make room for an army base (Fort Casey) the old lighthouse was demolished and the present Spanish-style structure was built a bit further north and was ready for service in 1903. It was discontinued in 1927 and today is restored to serve as a museum.